School Motto: " To Strive, To Serve"
All students of Methodist High School are aware that it is their social responsibility to be of service to others. MHS Klang stresses the Total Development of the student as a person and as an individual in His or Her own right. A Teaching and Learning Environment consonant with the cultural disversities of the Nation, the socio economic realities and national objectives. Education that will stress Community Responsibilty, Discipline and Sensibility through individual and the group involvement in practical subjects. Education which stresses the Development of religious, spiritual and moral values. 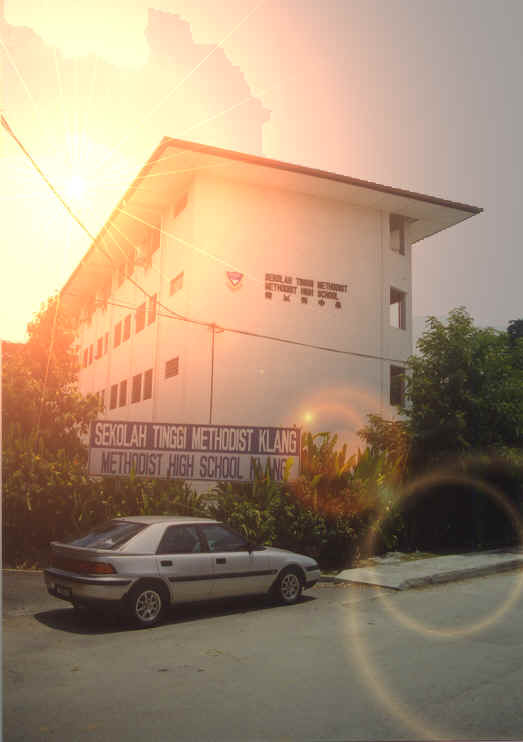 MHS Klang will become a fine Educational Institution, producing dynamic student of academic excellence with good leadership qualities, disciplined and motivated. MHS Klang student will be caring Members of Society, sensitive to the needs of other, especially the poor and the handicapped.